EXL145 is a popular choice for rock and metal where heavier gauges are required. 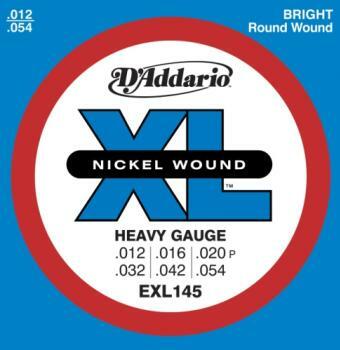 A plain 3rd/G string offers more flexibility than traditional 12-gauge electric strings. Optimized for down tuning!